While there are plenty of Ventures collections floating around, none are as massive as Floating World's Big Box of the Ventures. Made up of 165 tracks and spread out over six discs, this set shows just how eclectic the band's sounds were, touching on elements of surf, lounge, country, and early rock & roll. While the bulk of the tracks here are stereo versions, every disc includes a handful of mono tracks, giving fans a taste of both worlds with some alternate mixes. 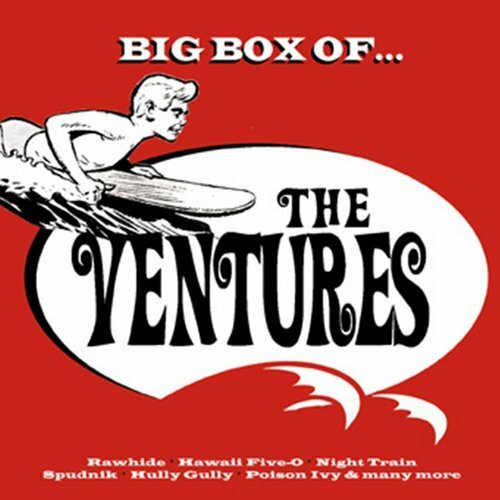 For someone new to the band, there are certainly more streamlined ways to get an introduction to the Ventures' sprawling back catalog, but for surf enthusiasts, Big Box of the Ventures is a dynamite listen.